Every mouth we have seen try this skinny snack quickly replied with a "YUM!" 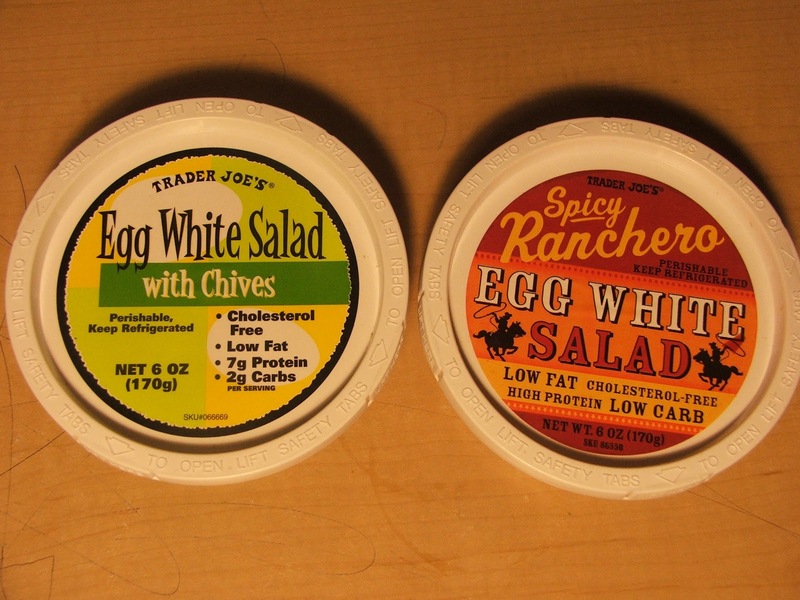 Trader Joe's Egg White Salad, along with its equally delicious counterpart, Spicy Ranchero Egg White Salad, are always a hot item! They are creamy, but not thick; filling, but not heavy; delicious and guilt free. With a high protein content (14g total!) along with low calories (100 total!) it's no wonder these tasty snacks/meals fly off the shelves faster than you can burn the 100 calories! Throw your 100 calorie snack bags away, as the convient container makes it easy to carry on the go. I just found out about this last week! I couldn't believe it. 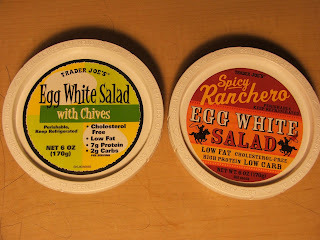 I'm back on Weight Watchers (again) and one bowl of the Egg White Salad with Chives is only 1 pt for the WW plan! I'm going to grab a few more today at lunch (I hope there will be some left)! LOVE LOVE LOVE this for lunch...the Ranchero is the BEST!! I eat it for lunch with 1/2 Wheat Lavosh wrap......YUMMMMM! After years of eating this stuff at 3 bucks a pop, I figured each container has about 4 eggwhites in each. I can get 4 organic eggs for about a buck ($7.50 for 24 at Costco), hard boil them, and eat only the white. Don't miss the salad at all. And it's even healthier. part 2. But don't get me wrong, I love this stuff, but I was eating 2 every 3 days and that came out to about close to $135 a month like clockwork. That adds up quick. The Egg White Salad is pretty bland. I have to agree with the others here that it makes more sense to just hard boil some eggs. I used to eat the egg white salad all the time. Today I had it for lunch and an hour later, I got violently ill. Has anybody else ever had that reaction?